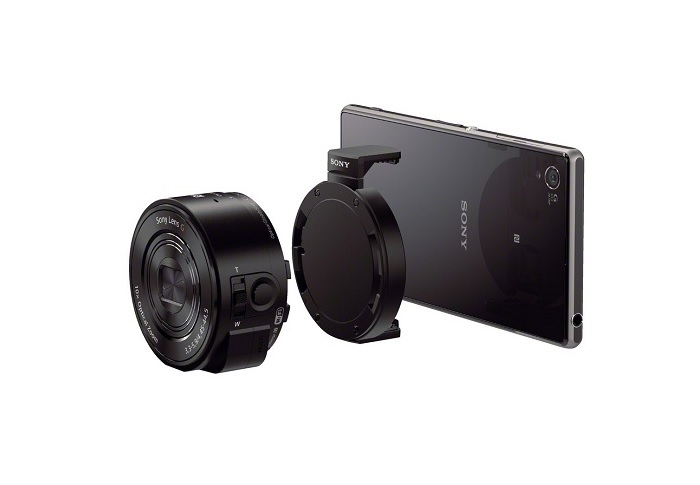 Back in September, Sony unveiled QX10 and QX100 lens-style cameras that can be attached to a smartphone for improved photography experience, by connecting to your device via WiFi and a dedicated application. If you’re in possession of any of those cameras, you’d be glad to know that a firmware update is on its way with several important features and improvements. Sony has announced the lens-style cameras will get the firmware update in January and will bring along a bunch of new features, including full HD video recording (1920 x 1080) at 30fps along with a higher ISO settings. Additionally, QX10 model will be expanded from max ISO 1600 to max ISO 3200, while QX100 will see a bump from max ISO 3200 to max ISO 12800. Additionally, QX100 will also get Shutter Priority giving users the ability to control the shutter speed. In the meantime, you can update the PlayMemories application on your Android and iOS devices, which comes with several improvements and enhancements such as improved connectivity speed (iOS), support for PlayMemories Camera Apps “Smart Remote Control”, auto network switch (Android) and more. Just head over to the respective App Stores and update the application. We’ll update you once we have an exact roll out date for the update for Sony’s lens-style cameras.